There is nothing that screams Sunday to us quite like hopping in your Nissan Rogue and heading out to Brunch in Tacoma. 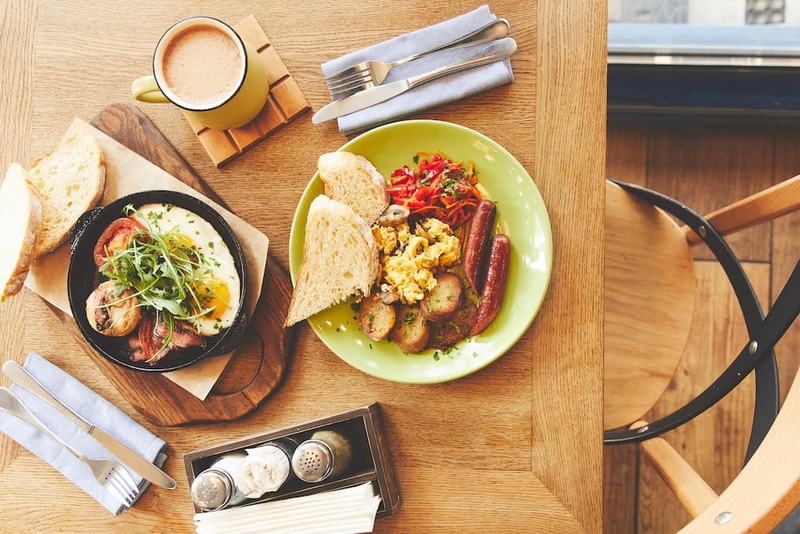 If this sounds good to you, or if you just want to find a good place for breakfast in Tacoma any day of the week, check out our top picks for Tacoma area eateries. Blueberry pancakes, huevos rancheros, omelets, and potatoes that have been described as nothing short of “magical,” Shakabrah Java gives Bonney Lake area diners a lot to love. As a bonus, they feature several customizable tofu dishes, making this an excellent stop for vegetarians. Contrary to its name, the Annex isn’t dirty, but it is quirky and offers up and eclectic menu with tasty treats you won’t find anywhere else in the Federal Way area. Try the bacon stuffed waffles with a side order of fried chicken, a cheese-stuffed pancake, or a delicious helping of Cinnamon Toast Crunch French toast. Whatever you do try, don’t forget to add a sip of moonshine from the breakfast cocktails menu – Dirty Oscar’s is famous for their ‘shine. For Spanaway area diners with dietary restrictions – or those who prefer a cruelty-free menu, Viva is the place for breakfast. The menu changes frequently, but diners can expect surprisingly tasty tofu veggie scrambles, pancakes, and other breakfast staples all gluten, dairy, and GMO-free. For something a little more decadent, how about brunch at the Lobster Shop? This upscale eatery features all manner of fresh seafood like shrimp, lobster, steamed clams, and oyster shooters, as well as eggs benedict, omelets, biscuits and gravy, and a whole menu of other scrumptious choices. It’s a bit harder to get to than some other options, but if you’ve opted for NissanConnect, you shouldn’t have much trouble. What are Your Favorite Tacoma Area Restaurants? So, what do you think? Did your favorite make the list, or do you prefer another Puyallup or Lakewood restaurant? Let us know in the comments section below!